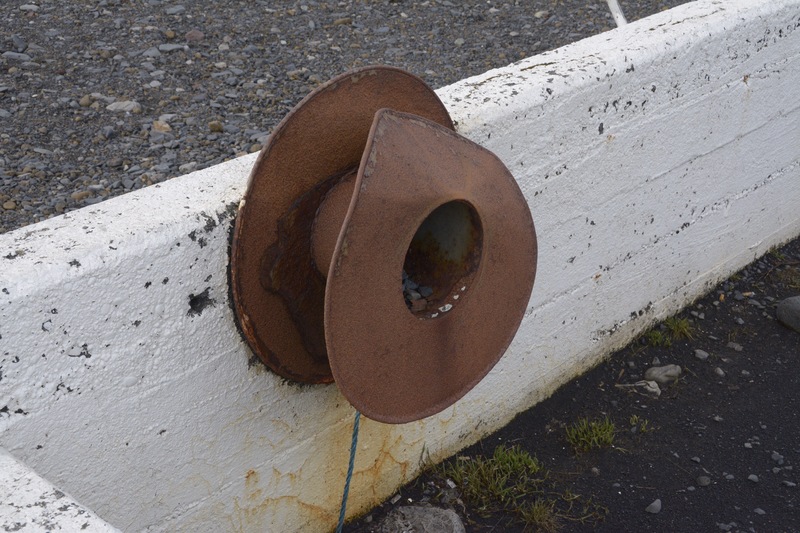 Often when driving along the strait flat roads on the volcanic planes, I saw red rust like stains in the frequent drainage channels, so I presume there is red oxide in the soil but mostly the red one sees is in rusting objects such as corrugated roofs of agricultural buildings and the like. 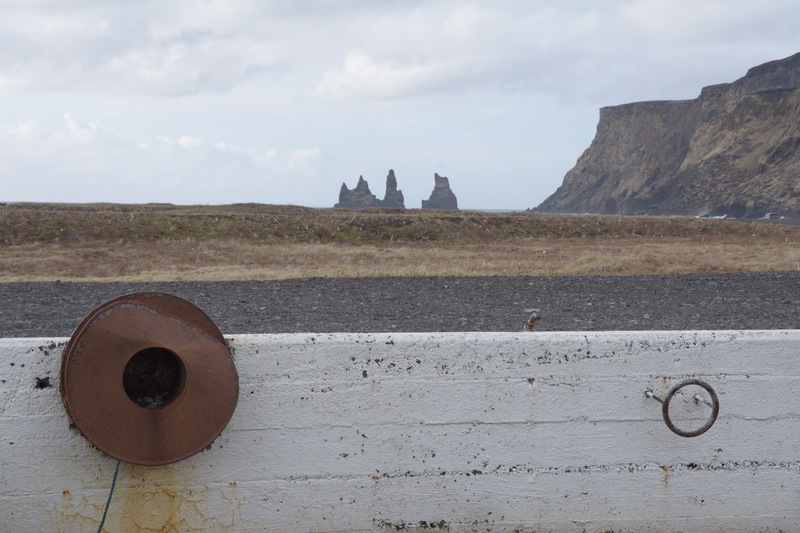 The basalt rock stacks which were once part of the Reynisfjall cliffs at Vik, now eroded by weather. 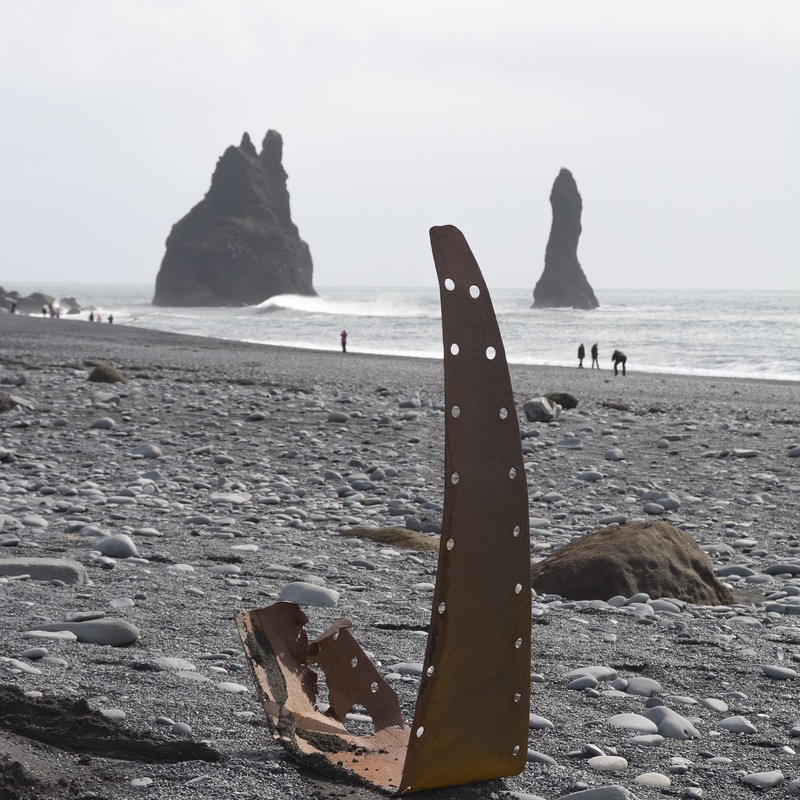 A strange section of rusting metal I found on the beach at Reynisfjall, I upturned it to photograph it seen between the basalt stacks. 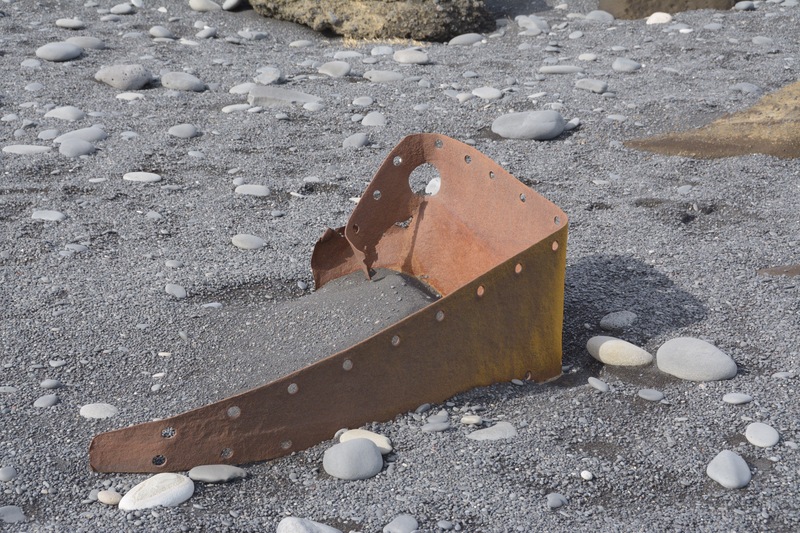 This is how I came across it, nestled into the black volcanic sand and stones on the beach. 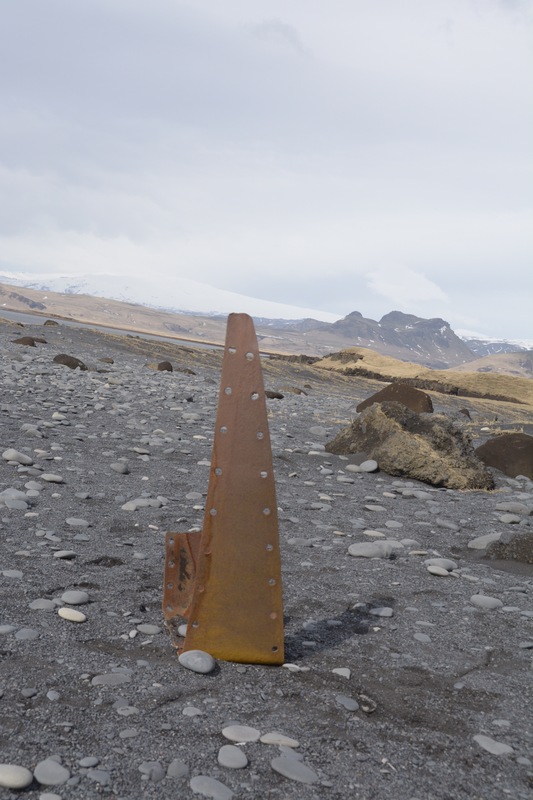 I left it standing proud in the landscape. 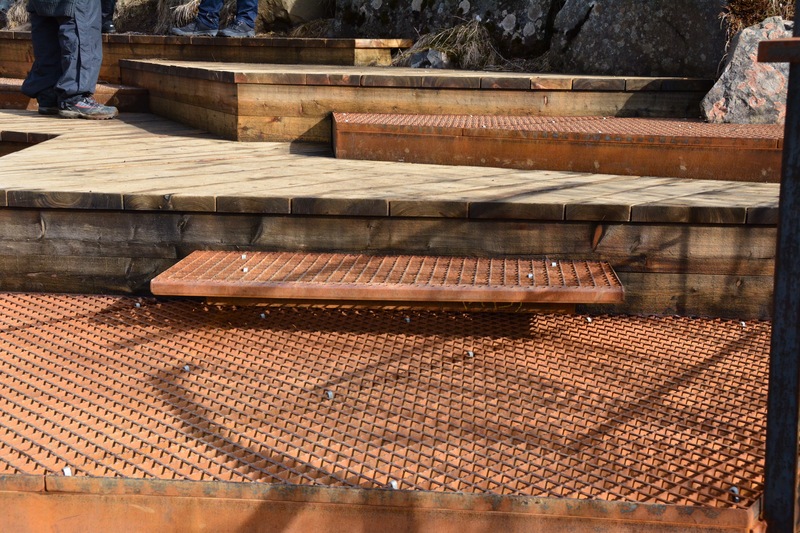 A viewing platform at a waterfall, a superbly geometric foil to the randomly rushing water . 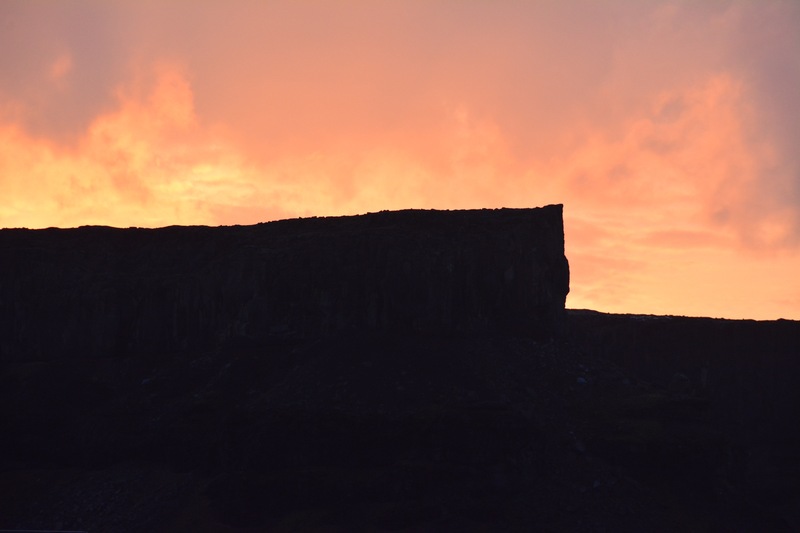 And finally the glorious red of the sunset over the extraordinary cliffs at Nupar, Kalfafell.